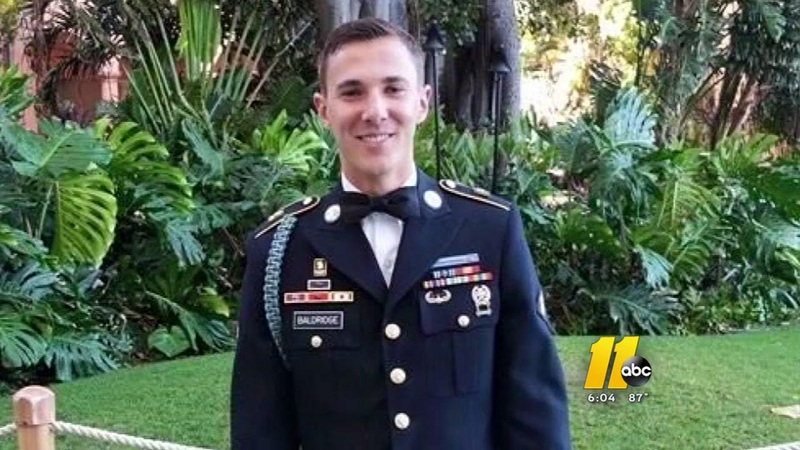 ZEBULON, North Carolina -- President Donald Trump has sent a $25,000 gift to a Zebulon man whose 22-year-old son, a U.S. Army corporal, was killed in Afghanistan in June. The gift came several months after Trump first made the pledge during a personal phone call with the family, the White House confirmed to ABC News. The father, Chris Baldridge, told The Washington Post he appreciated the president's call and was stunned by his generosity. "I could not believe he was saying that, and I wish I had it recorded because the man did say this," Baldridge told the paper. "He said, 'No other president has ever done something like this,' but he said, 'I'm going to do it.'" But then, Baldridge told the Post, the only thing he subsequently received from the White House was a letter of condolence; no check. "I opened it up and read it, and I was hoping to see a check in there, to be honest," Baldridge said. "I know it was kind of far-fetched thinking. But I was like, 'Damn, no check.' Just a letter saying, 'I'm sorry.'"